Each time I go to a Tweetup, I have the best intentions to write about it and then life in that way creeps up on you and gets in the way. So here I am writing about it now while I can. (Yep at 6 to midnight. I’m writing a blog post). 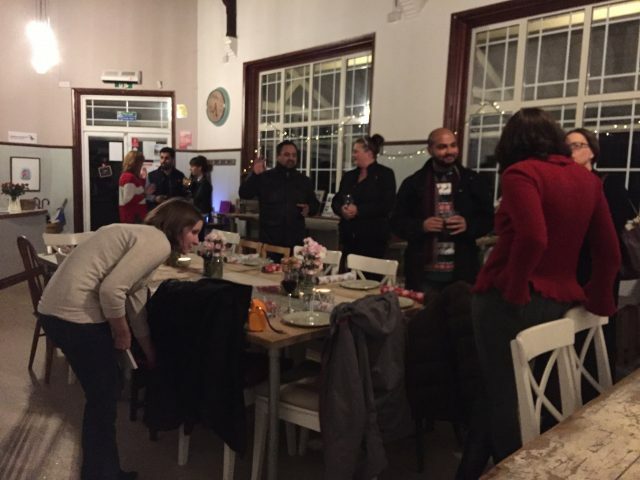 Our Tweetup this time was hosted by Emma and the lovely team at the Pavilion at the Park (if you’re not following them on Twitter they are @bedfordpavilion). The menu was grazing boards with the intention that we could all sit down and keep networking and chatting while eating. Anwyn (Evie and Lola) suggested that rather than us each stand up and talk about our own businesses (which in all honesty can be terrifying around new people!) we would tell the person to our left who would then stand up and talk about us and our business. I was sat with Emma to my right so I stood up and spoke about her, the Pavilion, the Kiosk in the Park and her a few other things that I could remember and we had discussed while tucking into our meal. The grazing boards were lovely with lots of different bits to choose from and our two gluten free people were also well catered for (I believe! They might tell me differently!). 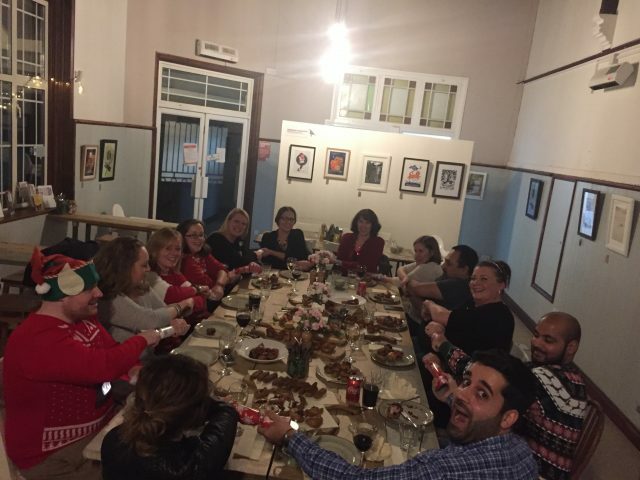 My favourite was the pigs in blankets (made with proper size sausages rather than chipolata sausages) or the halloumi sticks. My favourite from the desserts would be the mincemeat crumble although I did smuggle home a piece of gluten free chocolate brownie for my husband (especially as he then played taxi for me to get home). As it was Christmas we had a Secret Santa, the theme for the swap was “What is your small business must have?” I received a lovely big mug and two sachets of tea from Q at Nothing but Tea. I would tell you what I gave but that might give away the game unless my person has guessed who gave it to them. (If you want to know send me a tweet @daisy_media). 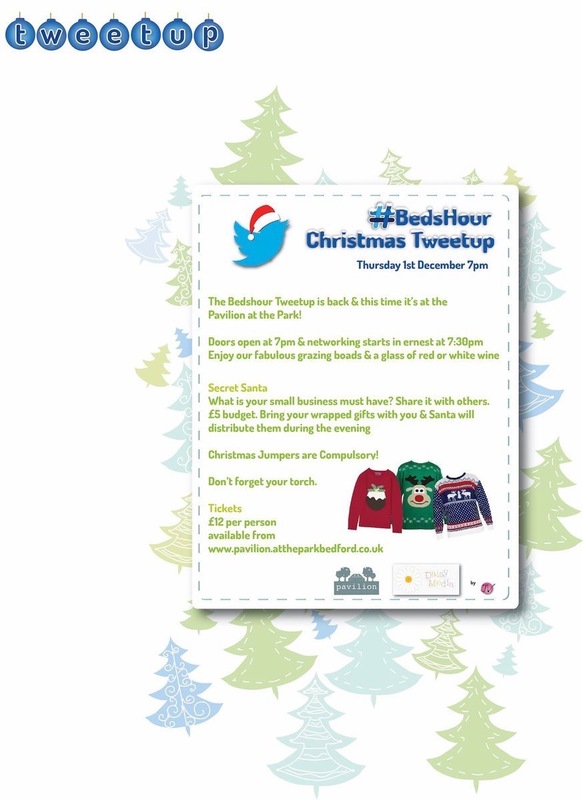 Along with that the “dress code” for the evening included Christmas jumpers. I was going to wear my “fair isle” style Christmas jumper that I actually bought two Christmases ago but I put it on and it was making my arms itch (how random!) so before I left the house I went to raid my husband’s wardrobe and stole his Christmas jumper for the evening which is actually more Christmassy overall! However, I think the winner of the best Christmas jumper had to be Paul from White Label Dev. 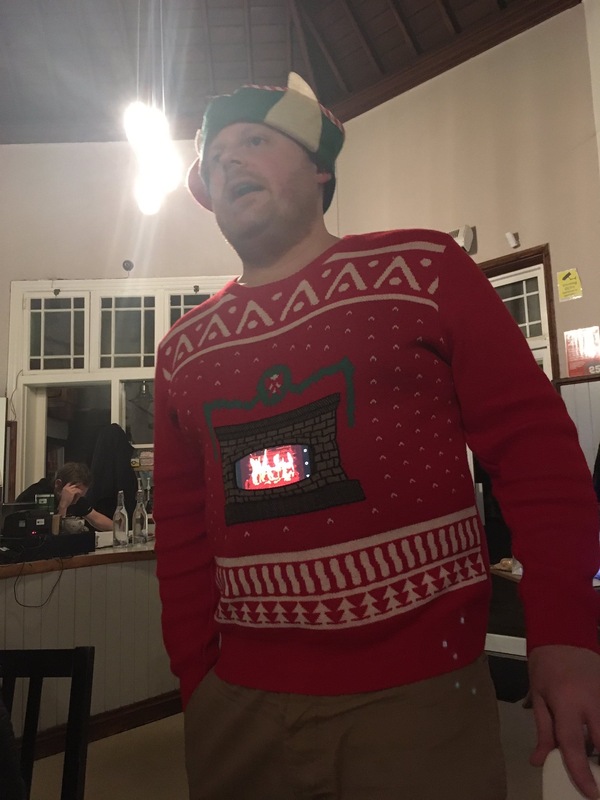 It had a little pouch for his phone so that he could play a log fire video on his phone and this appeared in the fireplace on the jumper. Overall it was great food with great company. Once Christmas is over, I wIll have to start on the next Tweetup maybe? Hi there! I’m Hannah and I run Daisy Media. Whether you need help getting started or someone to manage your social media presence, just drop me an email and we can get chatting about your requirements. When I’m not running my business, I blog, crochet, knit, creative journal and any with lots of stickers!